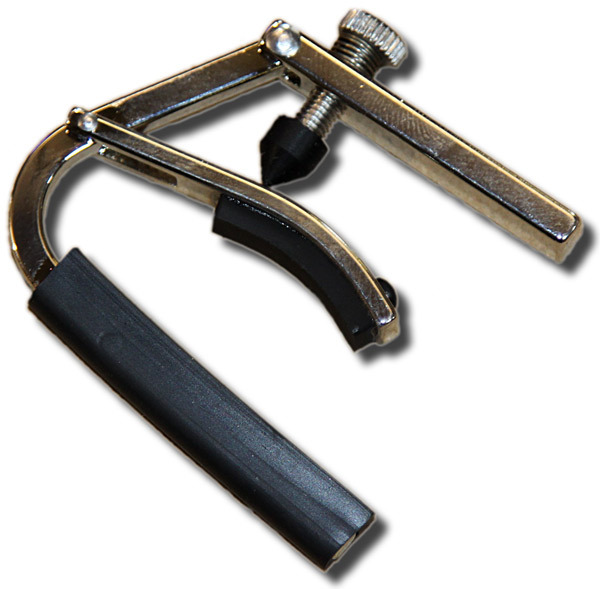 The Schubb Standard capo is designed to reduce tuning problems. It presses the strings exactly like your fingertip. It closes onto the neck just like your hand. Its pressure is totally adjustable.